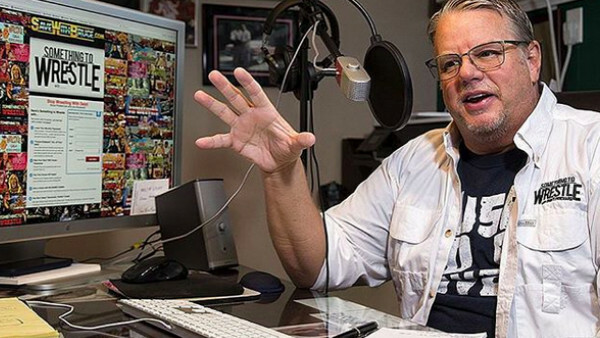 Bruce Prichard's 'Something To Wrestle' podcast has found great success over the past few years, and made its way to the WWE Network after WrestleMania 34, with the former Brother Love and cohost Conrad Thompson delivering a two-hour deep dive on WrestleMania XIV. In the video, Conrad explains that while him and Prichard have already shot the footage and don't plan on re-filming. In his words, "[we] don't want to white-wash everything that ECW was, so [I'm] fighting for it," referring to the episode as the "most controversial" in the long-running podcast's history. While Thompson notes that this is the first time something like this has happened, it's unsurprising that a podcast so heavily based on backstage stories and peeking behind the curtain would clash with WWE's preferred narrative. Let's hope it airs as planned, and the final product matches the creators' vision.